Happy people are confident and optimistic. They tend to provide a sound judgment and therefore are good in decision making. Happy people are enthusiastic about life. They are dwelling with less or no stress at all. And so everyone around them can also get the positive vibes they radiate. It is good to know that we can bring a happy aura to our own bedroom. We can bring the sun to our interiors and instantly brighten our private space. Yes, there is no other color that can be more cheerful, upbeat and zesty than yellow. This color creates a warm and lively atmosphere. But apart from the warmth and cheerfulness this color invokes, too much of this color can also cause fatigue and anxiety. So in decorating your interiors with this color you have to make sure that it is balanced. It is important that you know what shades to use to soften this strong vibrant color for a calm effect. 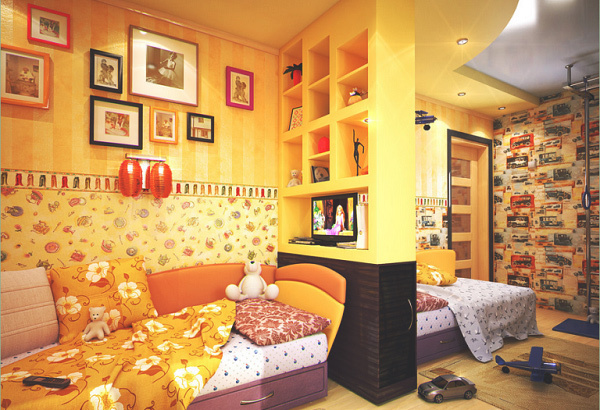 Here are our 15 Zesty Yellow Bedroom Designs to inspire you. Use soft, buttery yellow for an inviting and calm effect. 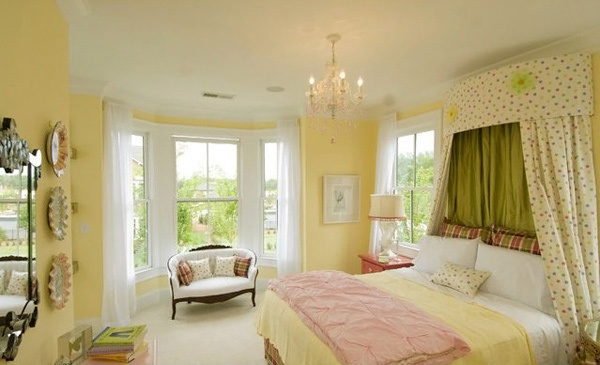 Add sheer white curtains to your pale yellow interiors and get a bright yet soft, soothing look. Balance your sunny yellow wall with muted shade of green and orange and watch your bedroom turn from lifeless to oh-so-lovely! 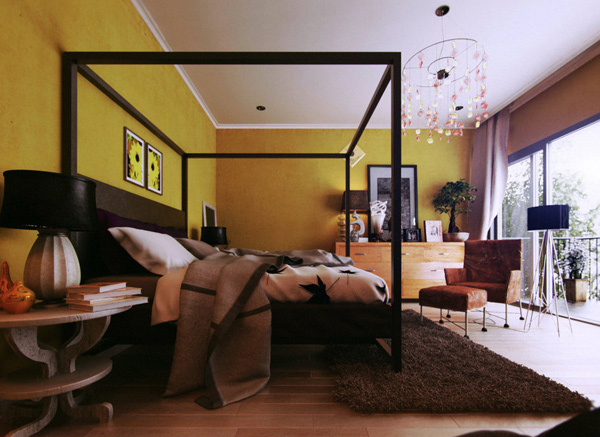 Bring light and zest to your bedroom with the pop of yellow in every corner! 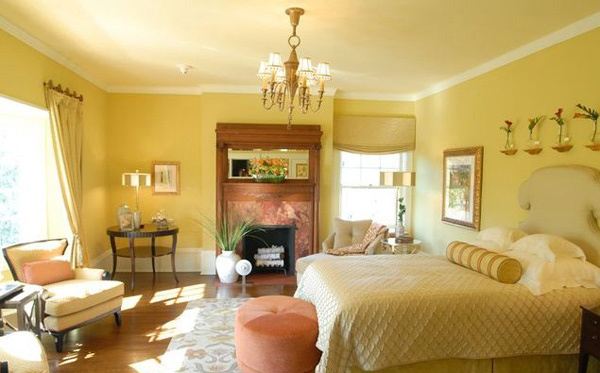 Be overly daring and use yellow as your focal spot to make your room standout! Steal this classic design by adding natural furnishing and delicate earthy toned accessories. 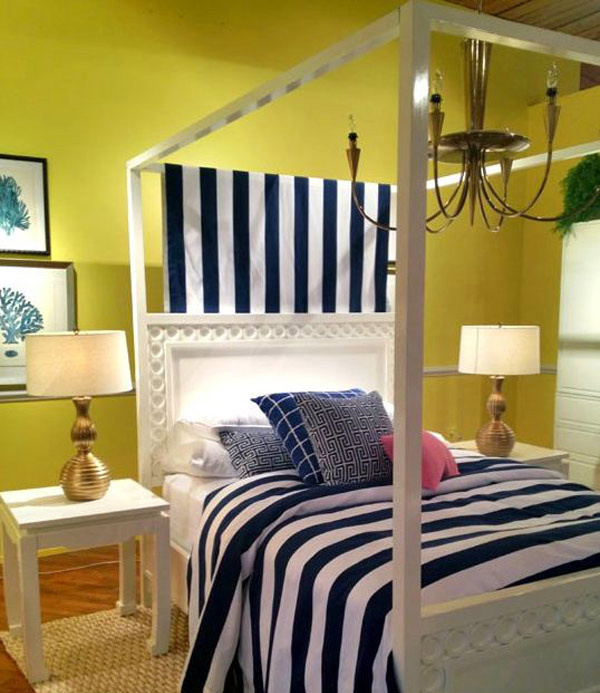 Incorporate the relaxing vibe of blue to balance the warmth of your bright to and create a beachy atmosphere. Match your kids’ high energy with this playful patterned yellow wallpaper. Catch attention by painting your focal wall with yellow as a sophisticated backdrop. 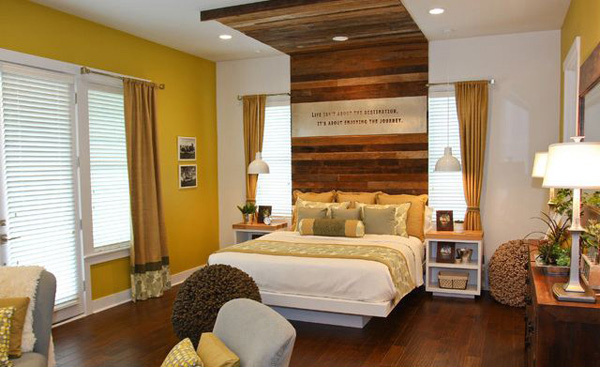 The rustic, natural look of the headboard creates texture to this vibrant room. 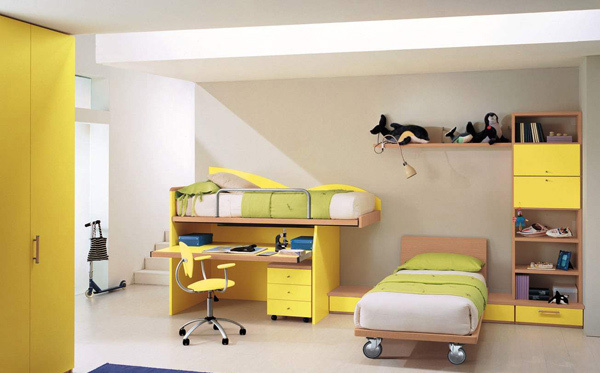 Bold yellow highlights mixed with the playful bits of blue and red, the result a dynamic bedroom! 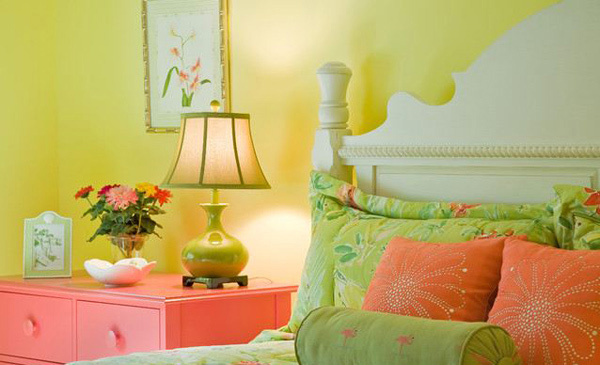 Let your feminine touch floats in the air with pink and pale yellow in your bedroom. Savor the zen feeling in this design. Look at how that textured rug complements this bright, sunny room! 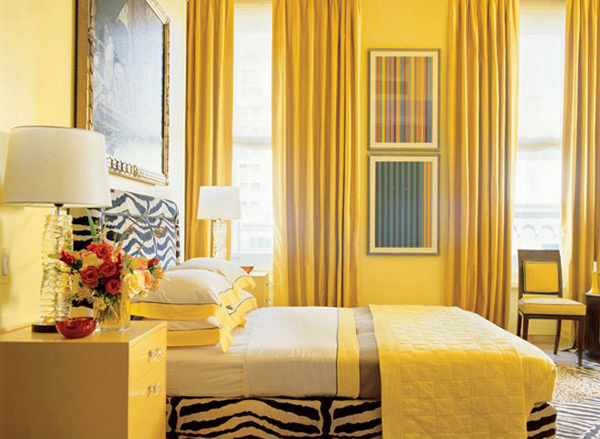 Break the overpowering impression of yellow with this zebra print bed as an accent. It does not only soften this striking hue but it also made this room exceptional. The warmth, youthfulness and energy that yellow brings are exemplary. 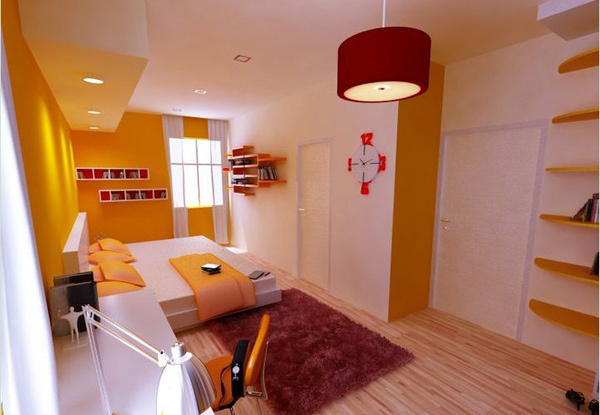 It is a good choice for a bedroom if you want your room to have a cheerful, vibrant ambiance. It is the perfect option for rooms with poor lighting to boost brightness. But bear in mind that too much of this color can cause negative effects too. So to avoid its overwhelming brightness, you need neutral or cool tones to soften it. And you can also use natural furnishings or earthy tones for accessories to balance the atmosphere. Don’t fret in using this color just enjoy the fun it has to offer.